Now that the big game is behind us, it is time for Valentine's Day! 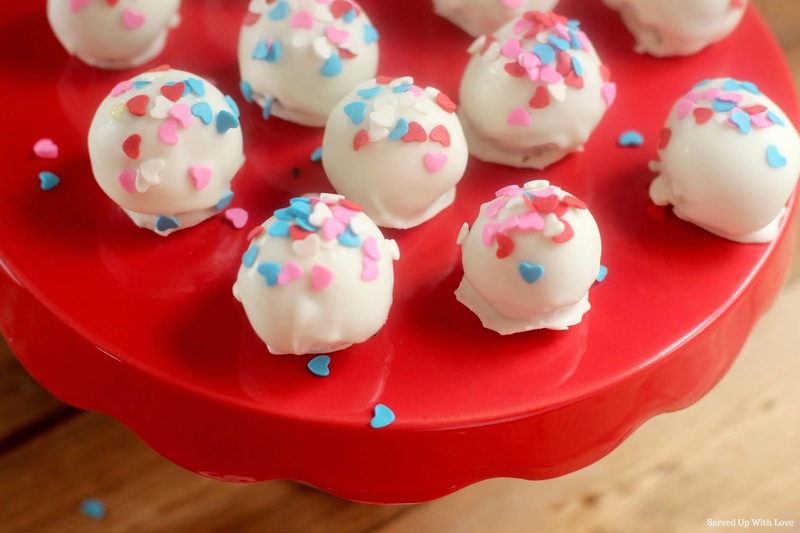 Oreo Cookie Balls do not need a special occasion to be enjoyed. But my goodness, how cute are these little gems? We don't usually do much for Valentines Day but I do try to do cute and fun little treats for the ones that have my heart. Usually my kids get a small stuffed animal and some candy. Just a little something to show them that we love them. So I have to make a little confession. I actually made these for Christmas but didn't get around to finishing them up. I whizzed them in the food processor and rolled them up. I then placed them on a cookie sheet and placed them in the freezer to finish. Well after a while I realized it was just not happening! So I placed them in a freezer bag to finish later. I assumed they would be made within a couple days. It was actually a couple weeks before I was able to tackle these again. Perfect timing for Valentine's Day! Oreo Cookie Balls are a super fun and easy treat for any occasion or holiday. Place the Oreo cookies into a food processor and crush into a fine crumb. Add a block of softened cream cheese and mix. 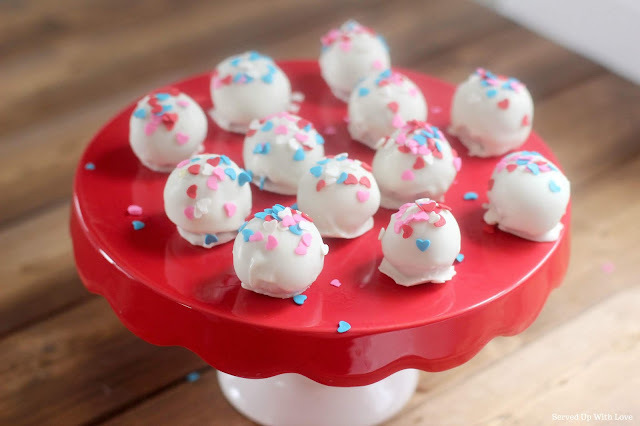 Using a small cookie scoop, place the cookie mixture in your hand, make round balls, and place on a waxed paper lined tray. Place in the freezer for about 10 minutes. 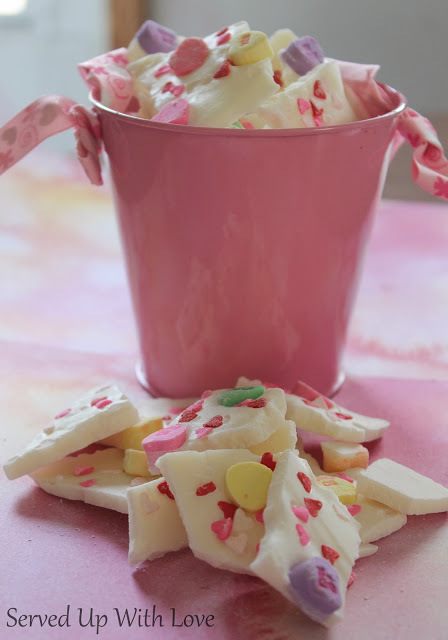 Melt the almond bark or candy coating according to package directions. 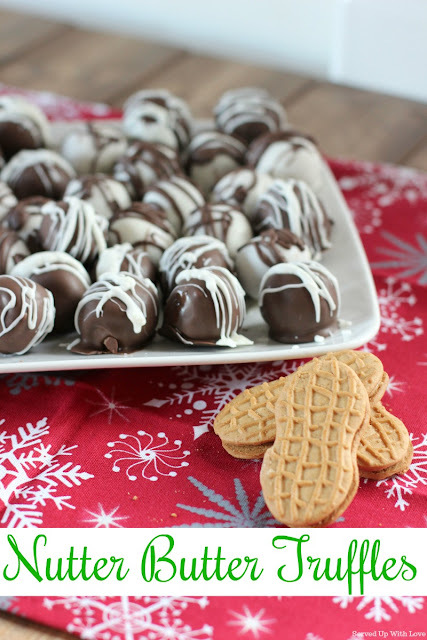 Carefully place the frozen cookie balls into the almond bark and place on waxed paper. 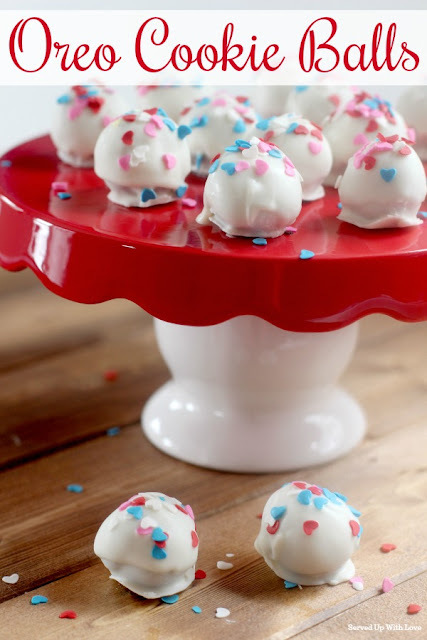 Cover with desired sprinkles before they harden. The cookies crumbs tend to get into the almond bark. You may need to dip a second time once the first coat has hardened.